There’s no doubt that many insects are in trouble, and that human activity has a lot to do with it. But the idea that insects as a whole will soon be gone isn’t supported by the paper, which features systemic biases and data limitations, according to two recent response letters. Both of those responses call out methodological issues with the paper, which was a meta-analysis of studies that track insect populations around the world. To see if they could tease out any global trends, the study authors from the University of Sydney and the University of Queensland searched the online database Web of Science for the keywords “insect,” “declin,” and “survey.” As critics have pointed out, these terms immediately limit the scope of analysis to studies that spot a negative trend (and to those included in the searched papers’ citations, per the meta-analysis’s methodology). Even if those 73 surveys offer an unbiased snapshot of the literature, there’s still the issue that the vast majority of them were conducted in North America and Europe. While the authors freely admit this limitation, in their conclusions they justify making global extrapolations about insect declines—including that a third of insect species are threatened with extinction, and 41 percent are declining—because the root causes the analysis points to, agricultural intensification and agro-chemical pollutants, are problems the world over. To a trio of UK-based biologists at the University of York and Cardiff University, this doesn’t pass the smell test. “Trying to extrapolate from population or biomass declines over several decades, or from threatened species lists, in ‘developed’ temperate zone countries to, say, 100‐year species‐level extinctions of undescribed endemics confined to the precipitous eastern flanks of the Andes does not wash,” these critics wrote in Global Change Biology earlier this month. Finnish biologists at the University of Jyväskylä, writing in Rethinking Ecology this week, called out other issues, including the fact that local extinctions reported in some of the studies aren’t easily extrapolated to a broader scale, and at least one instance in which insects with the conservation designation “data deficient” were lumped in with those designated “vulnerable” and thus assumed to be declining when we can’t be sure. These authors also had some backseat editorial criticisms, taking issue with the paper’s use of words like “shocking” and “dreadful.” Frankly, though, the paper’s alarmed tone does speak some truth. 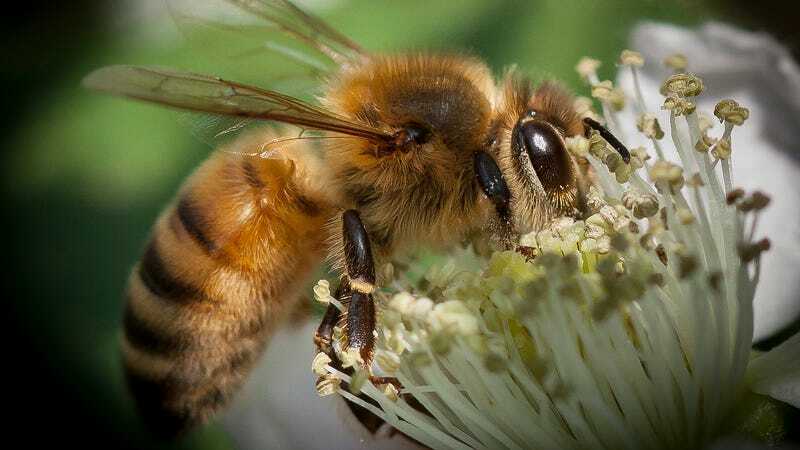 The whole point of the analysis was that many studies have reported precipitous declines in regional insect numbers, trends that have been tied to everything from agriculture to climate change. And the idea that we’ve pushed even a fraction of the world’s insects into irreversible decline is arguably awful, even if it isn’t 40 percent awful, or insect apocalypse awful. While this study and much of the coverage of it may have been exaggerated, there’s an urgent need to adopt conservation measures to help ailing insect populations, whether that’s by limiting pesticide use, creating more wildlife corridors through urban areas, or abandoning the ecological disaster that is the suburban lawn. Update 3/27: This article has been updated to include comments from Francisco Sanchez-Bayo.